According to reports,Â The Liberal Democrats are to attack their Conservative coalition partners in the new year by telling voters they can’t be trusted to look after the interests of normal people and are focused only protecting the very rich. A leaked script of party lines to take in the media urges MPs, candidates and councillors to say that only the Lib Dems are committed to building a fair society. It was distributed by the Lib Dem director of communications, Tim Snowball, who appealed for recipients to “communicate from this script at every opportunity”. The script also says Labour can’t be trusted to manage the economy, having “nearly bankrupted Britain”, but it is the strident tone on the Tories that is most notable given the potential for inflaming coalition tensions. “TheÂ ConservativesÂ can’t be trusted to build a fair society. Until the Lib Dems got into government, no one could stop the Tories from looking after the super rich who fund their party, while ignoring the needs of normal people who struggle to make ends meet,” according to the document. 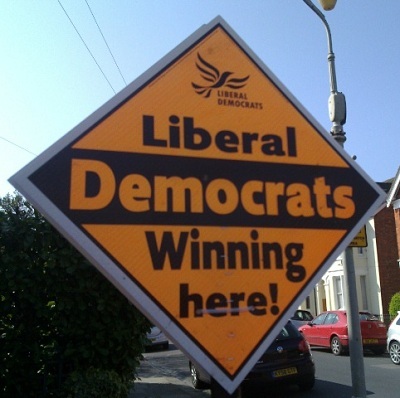 Since there is polling that shows the voters perceive theÂ Conservatives are the party of the rich, this approach by the Lib Dems may not be most outlandish strategy out there.